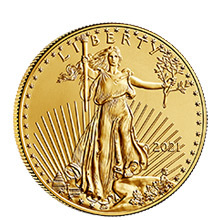 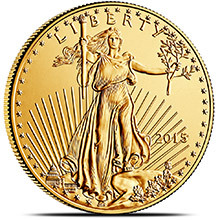 The most popular US Gold bullion investment coin today is the American Gold Eagle. 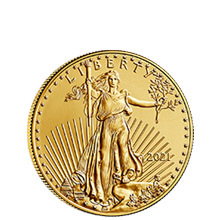 In 1986, Lady Liberty, as depicted by famed sculptor Augustus Saint-Gaudens, was selected as the design that would grace the obverse of the American Eagle Gold Coins. 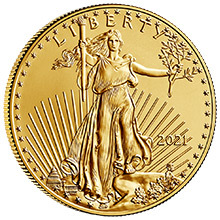 The Saint-Gaudens design first appeared on the United States $20, or double-eagle, gold piece in 1907, where it remained until 1933. 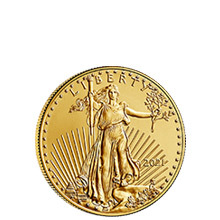 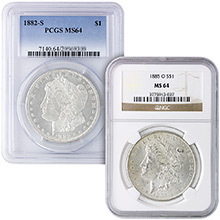 Now Saint-Gaudens design graces the modern American Gold Eagles as well.